The layout of the District takes inspiration from the central design of the main Decentraland map. Dividing Vegas into four main zones with three public squares and internal road system which will have our own unique design in Decentralands ‘mosaic’ style. Vegas City Quarters are thriving communities with their own individual style and related zones. Here you will find the very cream of Vegas Gambling in full VR splendour, play and mingle with others in our themed casinos, hotels and nightclubs. 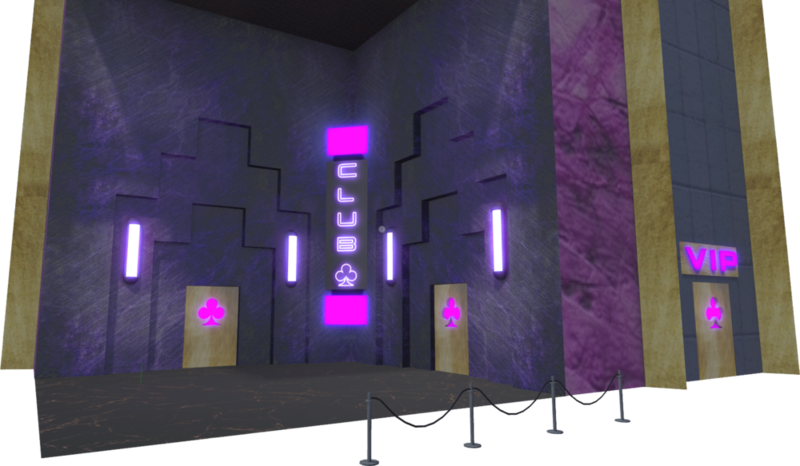 Exterior shot of a venue that has been created. A licensed operator could lease the gaming room. The entertainment quarter brings together all the elements that you expect from any entertainment district. Theatres, Cinemas, NightClubs, Fair Grounds, Gaming, Music Venues are some of the ventures that could be created in this district. Unique take on gaming and adult entertainment. Deploy NFT applications, sell Crypto Collectables and other crypto assets. Present unique experiences to the visitors to conferences held in Vegas City.